At one point during NBC’s much-publicized nadir in February, nothing on the network beat The Talking Dead—Chris Hardwick’s chat-show recap of The Walking Dead (which itself trounced shows on every network)—another humiliation for a network that’s grown accustomed to them. 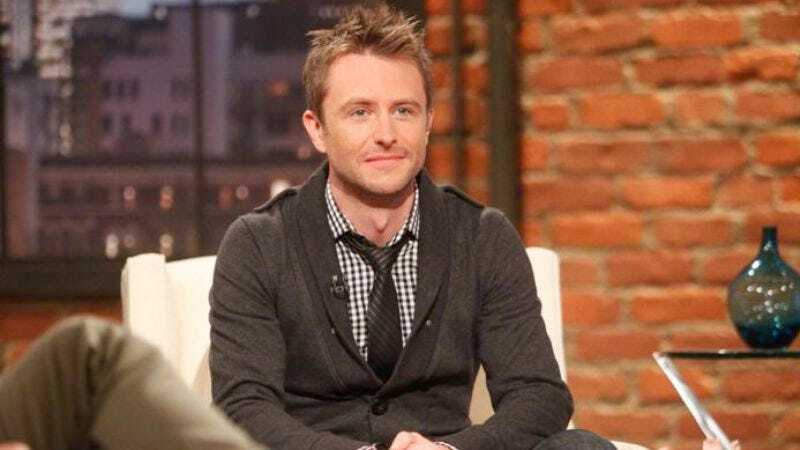 Lost among the eulogies for the Peacock (as TV insiders and Variety like to refer to it while using words like “sked” and “laffer”) was any significant notice for Hardwick, whose steady ascent via The Talking Dead and Nerdist Industries reached another level today. Deadline reports that he will host a late-night talk show on Comedy Central produced by Thomas Lennon and Robert Ben Garant, who return to the network that produced six seasons of Reno 911! The as-yet-unnamed show will launch in the fall and air four nights a week following The Colbert Report, reinforcing Comedy Central’s status as a legitimate player in the world of late-night television. Now it looks to Hardwick to extend that in his show, which Deadline ominously notes “will have a heavy social-media presence integrated throughout.” (“Two words,” went the pitch meeting. “Live Pinterest-ing.”) And just because it has to be involved in all things comedy these days, Funny Or Die is producing the show. An interesting tidbit for comedy nerds: Hardwick’s show will go up against Pete Holmes’ Conan O’Brien-produced talk show, which will follow Conan on TBS for a four-week tryout. The victor will be determined by a round of the Leonard Maltin Game with Jeff Garlin and T.J. Miller on Doug Loves Movies.